These are the top 5 most famous and inspiring wedding dresses of all times. These dresses, worn by famous brides, are timeless inspirations for brides and designers. Today, brides around the world are still inspired by these creations for their own weddings. 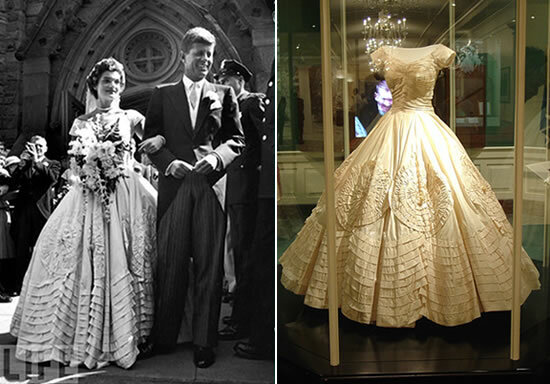 When Jacqueline Bouvier married John F. Kennedy in September 1953, she wore one of the most talked about wedding dresses of all times. Made with Battenberg lace, the dress was created by Ann Lowe in New York and is currently on display at the Kennedy Library in Boston. 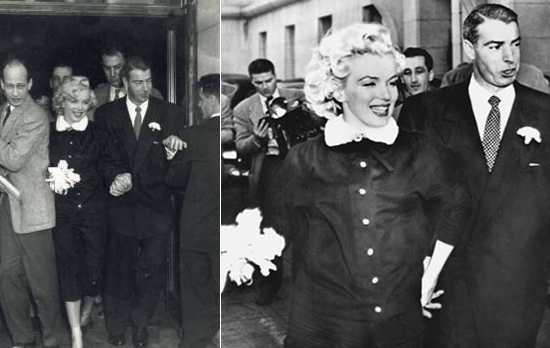 Marilyn Monroe married Joe DiMaggio in 1954 and today her wedding dress is still considered one of the most elegant of all times. Marilyn Monroe’s wedding dress was not a typical white bridal gown, but it was certainly elegant and completely appropriate for the ceremony and for Marilyn Monroe’s unique personality. The wedding dress that is considered the most elegant of all times is that of Grace Kelly. Her princess wedding dress was made by Helen Rose, who had won an Oscar for best wardrobe at the studio where Grace Kelly worked. 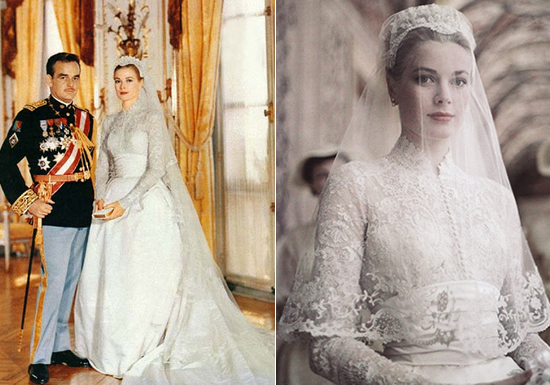 Grace Kelly’s wedding dress was made out of silk taffeta and tulle and was adorned with roses made of Valenciennes lace. The bride’s veil was covered in lace applications of doves and thousands of seeds, all of which were represented with pearls. At her wedding with Prince Charles (Prince of Wales), Diana Frances wore one of the most emblematic wedding dresses of all times. 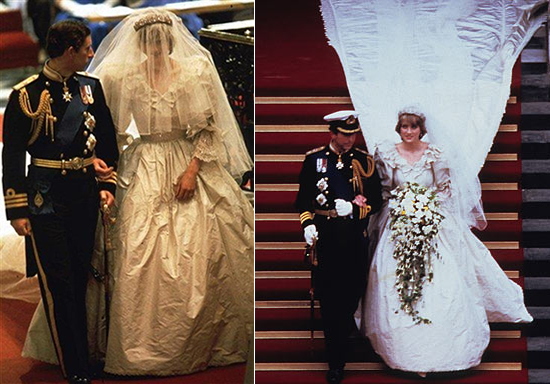 Diana’s princess wedding dress was made out of silk taffeta and was decorated with hand embroidered lace, sequins and 10,000 pearls. It was created by Elizabeth and David Emanuel, and had a dramatic 7,5 meter train: a true princess gown. Condé Nast Brides elected Nicole Kidman’s gown as the wedding dress of the century! However, this century is still too short to maintain such an affirmation, seeing as surely more famous brides will try to outshine it. Nicole Kidman’s wedding dress was a pearl colored and very romantic dress, designed by Nicolas Ghesquiere for Balenciaga.